Recent government actions like the repeal of Net Neutrality and the 2017 Tax Plan, may affect how arts organizations interact on the web and receive charitable contributions. Advocacy is, therefore, more crucial than ever before. News headlines can shock individuals into sharing their thoughts via a tweet or post. Social media is a great channel to raise awareness, but does this action inhibit change for the issues at hand? Also, how can arts advocates amplify their individual and organization’s advocacy needs? Fortunately, there are many digital tools and resources available to assist both organizations and individuals in advocating for issues that matter to them. Before going into depth, it is important to refresh readers on how executive and legislative branches work, both state and federal, so advocacy efforts are targeted and impactful. Check out this page on USA.gov to find elected officials and how government is organized. Screenshot of Daily Action website. Stay Updated. The simplest way to do this is by following elected officials on Twitter. Do not underestimate the impact of direct tweeting, because elected officials read these and may reply. For daily advocacy updates, individuals can sign up to receive text-message alerts via Daily Action. Arts organizations can also stay updated by following leading arts advocacy organizations like Americans for the Arts and National Assembly of State Arts Agencies. This initial step helps arts advocates see what is going on and how what is being done for arts policy. Check Resources. Go beyond following arts advocacy leaders on social media and utilize the resources available from their websites like Tennesseans for the Arts and Citizens for the Arts in Pennsylvania. These organizations provide arts advocacy toolkits that individuals and organizations can use for local, state, and federal legislation. State arts advocacy organizations and agencies can also be found through this page from Americans for the Arts. For more information about toolkits, check out AMT-Lab’s post: How are the Arts doing in the US and What Can You Do? Source: Screenshot by author of Citizens for the Arts in Pennsylvania website. Source: Screenshot by author of Countable.us website. Take Action. Whether its advocating as an individual or as an organization, there are multiple tools like Resistbot and Countable available for arts advocates to use. With Countable, advocates receive news updates about what is happening federally. 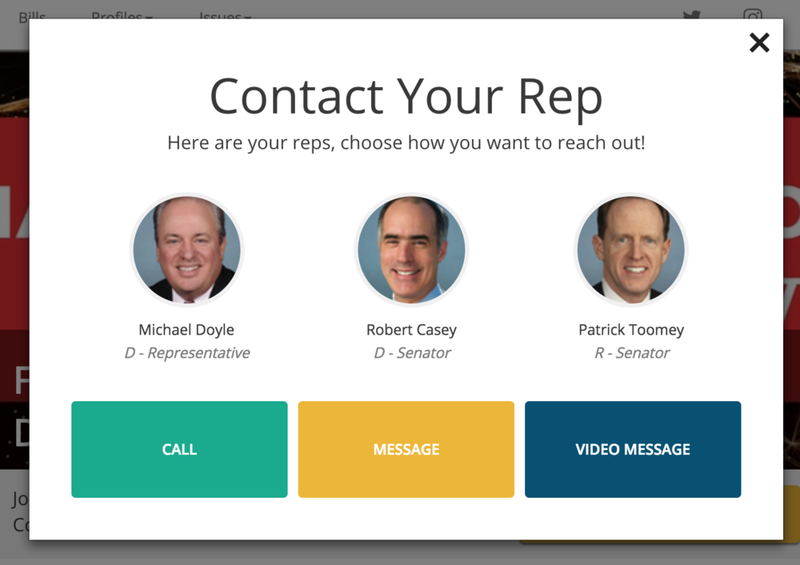 Users can also access direct links to bills and contact elected officials directly via phone, email, or video message. When is the time to take action? Advocates can send written and electronic communications any time, but stay aware of when elected officials are in town. In-person meetings with elected officials are important and impactful. Arts organizations have an advantage of getting involved in such activities because more supporters bring a variety of perspectives for the issue at hand. Contact the official’s office to learn about future town hall meetings or use tools like Resistbot often to unlock the Townhall Command. Check out RESISTBOT: How-To Advocate by Text-Message for learn more about Resistbot’s commands. Arts organizations can also engage in planning collaborative efforts with supporters through events like letter-writing or calling campaigns. An example of a group effort was how California Arts Advocates’ actions successful campaigned for additional state arts funding. Source: Screenshot by author of RESISTBOT text message screen. Follow this guide to advocate purposefully. It is always the right time to take action. The more we advocate, the more our elected officials will understand the importance of the arts from our stories to better represent us. The next time you re-tweet or share a post about an advocacy issue, stop and think about what you can do next to create impact. Explore other tools and resources not mentioned in this post as well and share your experiences of how you or your arts organization advocate in the comment section below!